This presentation represents extensive research and documentation of the most highly published gold legend in the United States- the Lost Nine Mile City and the Iron Door Mine- in the Canyon of Gold in Southern Arizona. From documentation to physical evidence, partial proof of this legendary mystery is now brought to light. 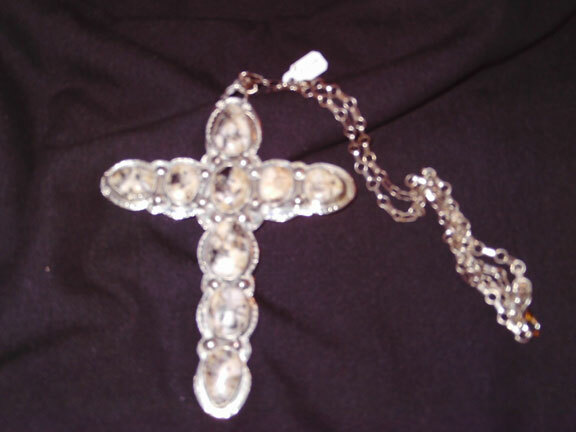 Certain Specialties is Flint Carter's company that engages in specialty and rare items and enterprises. In this Internet presentation, the specialty enterprise is of a legendary mystery concerning a rare element- gold. Precious evidence of mankind's endeavors to survive, locate and process precious metals remain as proof to this legendary mystery. The next pages are a series from Historical Society files- documents, newspaper clippings, short stories, references and links- all pertaining to the Santa Catalina Mountain Range. The stories cover from the 1880s until now. The first reaction to these stories and legends is apprehension and bewilderment. However, some truth exists no matter how abstract. Let us turn back the pages of time and see what someone else said about this mystery. Keep in mind this research is from historic documentation and not fiction- although it could be wrong or exaggerated. Through indoctrination to the area, an understanding of life and its sciences has been of more value than all the gold in the canyon. In the development of the area, it is proposed to preserve the area and its value for future generations to come. A hearty thanks and special mention to all those enlightened persons who have aided the never ending project of understanding and its values. Call Flint at 520-289-4566 or email [email protected] for more information about viewing and purchasing his specimens, ores, jewelry, art or scheduling a speaking engagement. "I have seen the elephant!" "The Most Expensive Gold in the World"
Interview with Flint Carter with Tyler Wing on KVOA-TV, Tucson, AZ. Hand painted Southwest Flint art by Flint Carter. Sierra Mountain Ranch, Cave Creek, AZ. 6738 N. Cave Creek Road. Fine jewelry and herbal medicine. 602-999-3022. © 2010 EMOL.org. Entertainment Magazine. All rights reserved. Polished Chrysacola cabachons. See more original jewelry from Flint Carter. 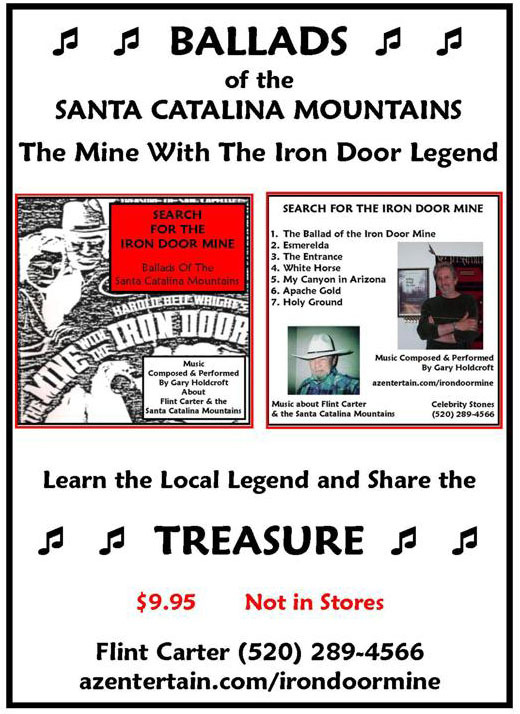 Listen to songs and ballads on CD about the Iron Door Mine, the Santa Catalina Mountains, the Old West and abut Flint Carter. $9.95. Call 520-289-4566 for more information and to purchase directly. 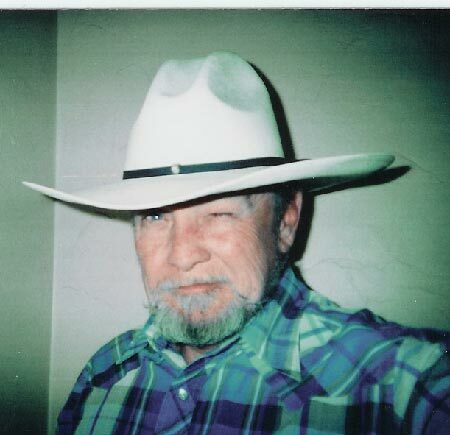 Flint Carter, a Tucson, Arizona miner, has samples of "Cody Stone" mined in the Santa Catalina Mountains of Southern Arizona. 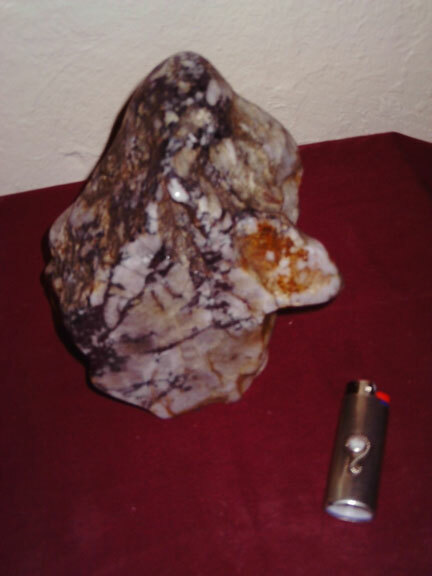 This stone is jewelry grade silver and quartz ore, and weighs 8 pounds or more. It also contains scheelite and fluoresces. 8 oz. cigarette lighter valued at $5 a carat. This particular piece is the second largest specimen recovered. Extremely rare. 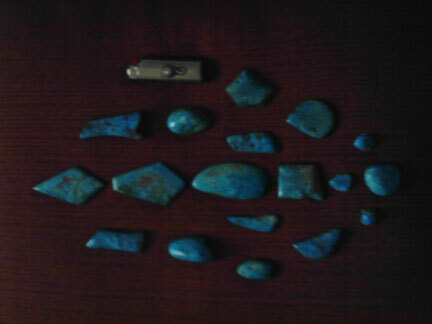 There is a 40 page provenance of the object, including an assay by the University of Arizona and opinions from the Gem Institute of America and other sources. More samples of Cody Stone and jewelry. DVD edition of MacKenna's Gold . Studio: Sony Pictures. DVD format. Release Date: July 11, 2000. Run Time: 128 minutes. Poster from Mackenna's Gold - Movie Poster - 11 x 17. This poster measures approx. 11 x 17. Rolled and shipped in a sturdy tube. This poster is from the movie Mackenna's Gold (1969). Printed book edition of Mackenna's Gold A Five-time Spur Award-winning Author. Somewhere in 100,000 square miles of wilderness was the fabled Lost Canyon of Gold. With his dying breath, an ancient Apache warrior entrusted Glen Mackenna with the location of the lode that would make any man - or woman - rich beyond their wildest dreams. Halfbreed renegade and captive girl, mercenary soldier and thieving scout - brave or beaten, innocent or evil, they'd sell their very souls to possess Mackenna's gold. --This text refers to the Hardcover edition. Avon Books (Mm) (June 1988). Watch video on-demand from Amazon.com of MacKenna's Gold . Movie Poster from the 1936 film The Mine with the Iron Door - Movie Poster - 11 x 17 Poster for the Mine with the Iron Door movie. Stars Richard Arlen, Ceclia Parker and Henry B. Walthall. Poster measures approx. 11 x 17. Rolled and shipped in a sturdy tube. This poster is from The Mine with the Iron Door (1936). Printed Edition of The Mine with the Iron Door. (The Collected Works of Harold Bell Wright - 18 Volumes) (Library Binding) Library Binding: 338 pages. Publisher: Classic Publishers, Language: English. ISBN: 158201891X. Digital CD Edition of Mine with the Iron Door: A Romance, The (CD-ROM Edition) . The CD-ROM contains 338 pages. Publisher: Classic Books; 1923 edition (December 15, 2007).